I have a lot of experience setting up young first time gecko owners with their first gecko. From this experience I have some general guidelines. The best average age for a youngster to start out with their first gecko is about eight years old. At this age they usually are capable of enough abstract reasoning to do the job of caring for a gecko and can tell whether they are helping or hurting their pet. An eight year old also likely has the physical coordination to pick up a gecko and not damage it. Maturity assessment: When told of the requirements of the gecko, does the child understand the requirements and are they willing and able to stick to a feeding and cleaning schedule? Are you as a parent willing to supervise and back up the child during the learning period? Match the gecko to the youngster. For the youngest aspiring gecko owners, a leopard gecko is a great way to go. Their requirements are simple and minimal compared with other types of reptiles and amphibians. Leopard geckos tolerate handling well, are sturdy and long-lived (up to 30 years!). It is important to stick with a hardy gecko such as the leopard gecko for children as they are given the best opportunity to be successful at raising a reptile their first time. A more delicate reptile or amphibian is ill suited for child's first experience as the reptile's potential for untimely demise is greater and so is the child's chance of disappointment. 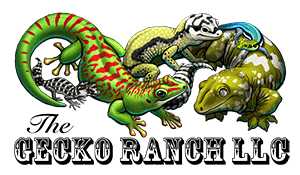 Get your child's first gecko from an experienced, competent source such as a breeder who is willing to provide guidance and support to you for the life of the gecko. Questions always come up, and they can become huge worries if you don't have someone dependable and knowledgeable to turn to. Learning to care for a gecko can be a very rewarding experience for a youngster. When a child is able to care for the gecko on their own, they can experience the special sense of pride that goes with being responsible for a living creature.